It's oh so easy! Choose the movie (or movies!) you would like to see from our PROGRAM page and you will be directed to our Eventbrite partner page for the transaction. You will receive an e-ticket to your nominated email address that you can either print out to bring on the night or save some trees and just bring your mobile with the Eventbrite ticket attached. See - easy as pie! We may also have a limited amount of tickets available on the night but this is only if the screening hasn't sold out beforehand. We will keep you posted on our social media pages www.facebook.com/unscenecinema and www.instragram.com/unscenecinema for any sell outs. For purchases on the night we can accept cash and credit card. We fully recommend buying your tickets online before your preferred screening date so you don't miss out!! We only have a limited number of space available so it's first in best dressed - no sore losers allowed! Please check the film’s rating when deciding whether to bring the kids although we have done our best to choose some fantastic family-friendly movies! Please note: all tickets purchased online are subject to an eventbrite booking fee. There is STRICTLY NO BYO alcohol due to our licence restrictions so please don't break the rules - in this case, rules are NOT meant to be broken! You can but you will be missing out on some pretty special amazingness from our local hand picked street food vendors. Details on foodies are available on the PROGRAM page under each screening date. Movie favourite snacks like popcorn, lollies, chips and choc tops will also be available for purchase. There sure is! We have a fantastic bar full to the brim of Peninsula's finest. Our wine is supplied by the wonderful Chirping Bird Wines from Moorooduc and our beer is brought to you by the amazing Red Hill Brewery. We believe in supporting our local craftsman and can't wait to share their amazing selection of beer & wine with you. At Stringybark Cinema (not running in 2019 but will be back soon!) we have some pretty awesome deck chairs available for FREE use but you must get in quick!!! If you miss out on one just bring your own chair or blanket and spread out with your friends and family and make your self at home! Botanika Cinema is set on the lush lawns of the George Pentland Botanic Gardens and it's all BYO seating or simply just lounge on your own pile of plush grass and enjoy! What if it gets cold? We have gorgeous blankets for sale for $10 each if the weather gets a bit nippy! Head on over to the bar to grab yours on the night. So sorry, but both the Emu Plains Reserve & George Pentland Gardens are dog free zones. What if the weather is inclement during a screening? Without rain there would be no rainbows - that's no fun is it? We do our very best to control the weather but living in Melbourne we all know it can be rainy one minute and blue skies the next so please come prepared for all seasons! Unscene Cinema reserves the right to temporarily postpone or cancel during a screening whenever it is deemed necessary. If we are unable to finish a film due to the weather, we are happy to transfer your tickets to another screening date but refunds are not avaiable. What happens if the weather doesn't play nice and we need to cancel prior to screening? If an occasion arises where it's a little too wild & wooly and a screening needs to be cancelled prior to screening (oh no!) we can transfer your ticket to the next screening date. If this date is unsuitable you can choose a suitable screening date remaining in the season. If it's the last screening date we are happy to offer you an 80% refund of your purchased ticket/s thru Eventbrite or offer you a gift certificate to next season's screening. We will notify all ticket holders via the email address you supplied at the time of booking and will also post on our social media pages regular updates in regards to the weather. So keep an eye on www.facebook.com/unscenecinema and www.instragram.com/unscenecinema for any changes to screenings. Can I change my pre purchased tickets to another date if I need to cancel? Sorry! But due to pre bookings & limited seating all pre purchased tickets are non transferable. Please make sure prior to booking that you don't have anything coming up that may clash with your amazing night out under the peninsula stars! If your stars don't align for any reason why not be awesome and gift them to a friend! How do I purchase a gift certificates? The ultimate present for someone who has everything! 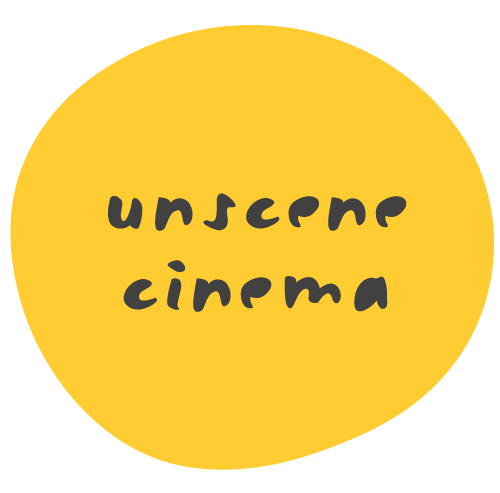 Unscene Cinema Gift Certificates are now available! All you need to do is click here to get yours! We will send you a printed certificate in the mail and your recipient can choose their favourite film to attend - the ultimate gift that will create beautiful memories...forever! Stringybark Cinema - excellent on site FREE parking is available oh so close to the cinema (no long walks or expensive parking here!) Just enter thru Gate One off Coolart Road and follow the signs to the car park! Botanika Cinema - FREE street parking is available all around George Pentland Botanic Gardens. Stringybark Cinema, Balnarring- Gates open from 6.30pm with the screening starting at sunset (approx 8:30pm). Botanika Cinema, Frankston- Gates open from 5:30pm with the screening starting at sundown (approx 7:00pm). Come early, let the kids have a play and relax and enjoy the local, live entertainment while grabbing a bite to eat from our speciialty food trucks! Of course! Just drop us a line if you have a posse of 10 or more and we will give you a unique code to book online to receive 10% off the general admission price (excludes booking fee, family passes and children under 5). 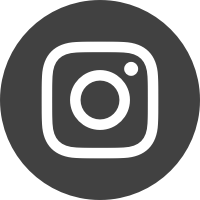 For corporate bookings please contact us through our CONTACT page.